While traveling through Ireland I had put off 17.2 until the last possible moment. 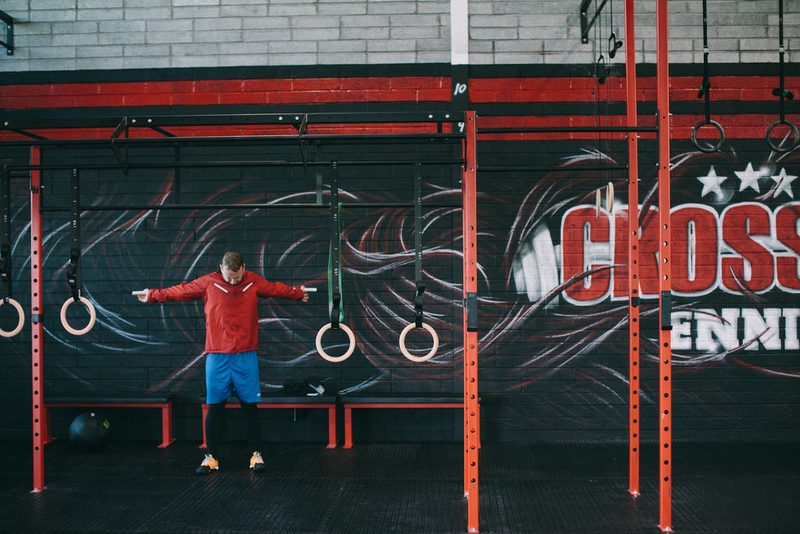 There were two reasons for that: 1) CrossFit Boxes in Northern Ireland are few and very far between. 2) I was on vacation and hiking a lot. But it was the Open and I had to get my score in, right? We happened to be staying in Ennis and when I called CrossFit Ennis, the owner, Eli Brazer, told me that they were actually running 17.2 in class that day so I could go at any time! Hurray! The minute I walked into CrossFit Ennis I was welcomed by one of the members, who was warming up for the 4:00 WOD. I told him I called and wanted to drop in and he got one of the coaches for me. Once I was squared away with paying the drop in fee and a T-shirt, I quickly changed and started warming up. Everyone one there was welcoming and interested in what I was doing there. I was given unsolicited recommendations of places to eat, things to do and places to stay. The gym itself is a good size with multiple rigs and well organized. Where is lacks in rowers and other equipment it has the ability to borrow from other facilities. For 17.2 I was told they had very few dumbbells, so they went over to the army base and borrowed from them! Truly a community at work. They have a solid, knowledgeable coaching staff, of which 5 were in attendance including the owner for the evening classes. Class size ranged from 10-20. The 4 pm class which I attended had around 10 and the 5 pm class had well over 20 participating, with a majority of their members participating in the Open! If you are traveling, they do have jump ropes available to use if you do not want to bring yours or do not have one. This is a very positive place to be. Eli had made this box a community. It’s what you hope and expect every CrossFit community to be like. Accepting and friendly. Today as CrossFit has grown so much there are some boxes that have moved away from that community aspect and are more exclusive than inclusive, not CrossFit Ennis. I highly recommend a stop in if you are ever in the Central West region of Ireland. Explore the Cliffs the Moher in the morning and drop in on CrossFit Ennis in the evening, a great finish to your day. Until next time. P.S. I have a short WOD for you below…did you think I forgot?